The Knights Keep slot from WMS Williams has 192 winning lines. 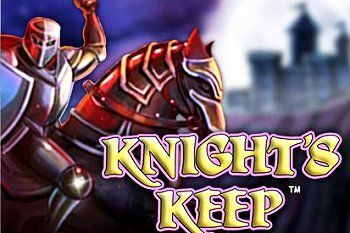 Play Knights Keep and win up to 25 free spins. Reels 2-6 contain a number of adjacent positions that are randomly replaced with one of the following symbols before the initiation of each spin: KNIGHT, KING, QUEEN, JESTER, CROWN, SCEPTER, SPADE, DIAMOND, CLUB, HEART. The FREE SPIN FEATURE GAME is triggered by 3 or more BONUS symbols scattered on reels 2 through 6. Free Spins are awarded from BONUS REELS, with the reels and lines ‘FLIPPED’. During the Free Spins, 3 to 4 reels will randomly change to any 1 Line Pay symbol on every spin, with the 1st Reel always changing. During free spins, an alternate set of reels is used.